This tree is mainly found from Senegal to Chad. It is present in the Great Green Wall of Africa. 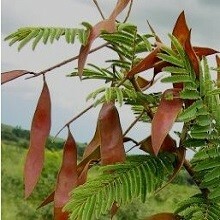 The leaves, young shoots, bark and stems of this tree are used in various ways for the treatment of ailments, such as snake bites, angina, syphilis, cholera, dental decay etc. In addition, the seeds of acacia macrostachya could have a notable effect in the prevention and treatment of skin issues or pathologies.